NEW STYLE - Soft and Strong Hold 1.5" (40mm) hair elastics that are gentle on your hair and great for working out and all-day wear. 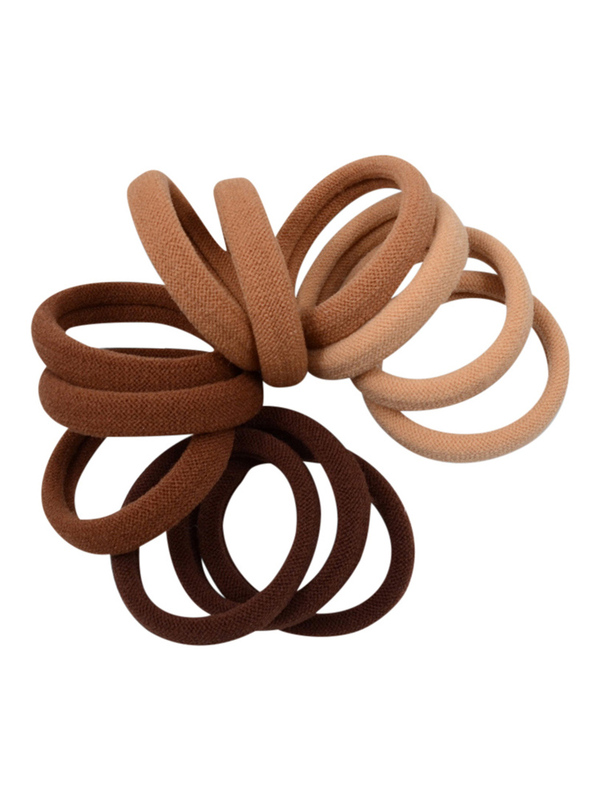 STRONG HOLD - Hair ties will hold hair well and will wrap around medium to thick hair 2 times and fine hair 3 times. THICK HAIR - These hair ties will wrap around thick hair 2 times and you may be surprised by how well they hold thick hair! NO-SNAG - Seamless nylon and elastic hair ties with no metal won't snag or damage your hair. 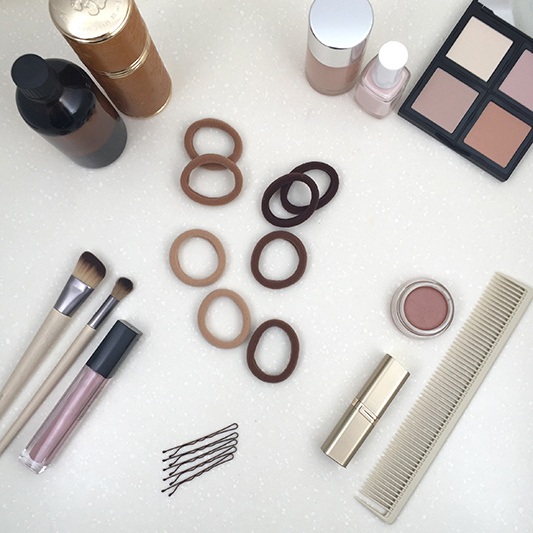 MATCH YOUR HAIR COLOR - Get a total of 12 hair ties. 4 each of Dark Browns, Medium Brown, Light Brown, and Tan. 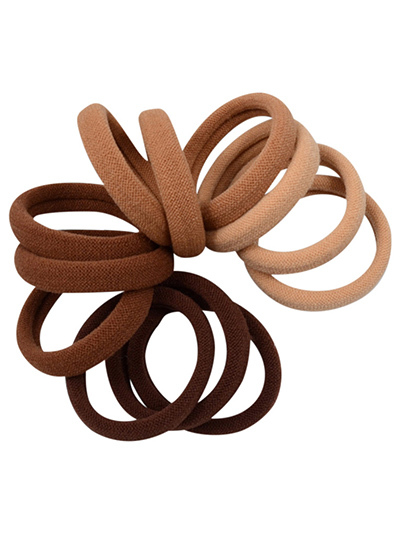 Soft and sporty seamless fabric elastic hair ties in the quality you expect and the colors you love from Cyndibands. The thing I love most about these hair ties besides the fact that they match my hair perfectly and you can't find bands like these anywhere else in these colors, is that they hold your hair super tight. No saggy pony tails from here on out!! 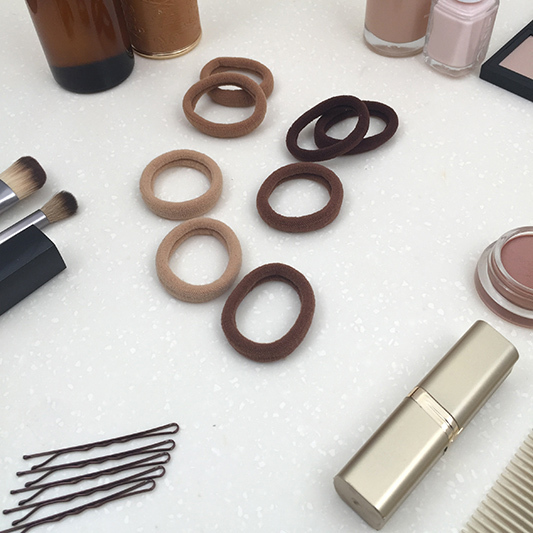 And because they are a little bit thicker than your average hair tie they actually give your hair some volume which is ALWAYS a good thing, no matter what your hair type. I love these hair bands and will be back for more! !